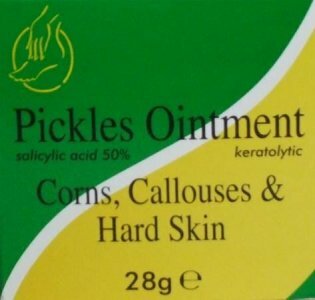 Pickles Foot Ointment effectively removes painful corns and calluses. 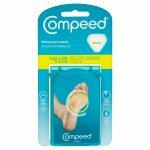 Hard Skin and Callouses: Apply a little ointment to hard skin ONLY for four nights, then bathe the area allowing the treated skin to cast itself. 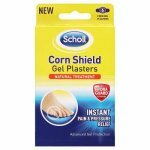 Corns: Fix a corn ring over corn and apply a little ointment through the hole directly onto it. Leave in place for 3 days, then bathe the area. Repeat treatment if corn persists. Wash hands throughly after using the ointment. Active Ingredient: Salicylic Acid 50% w/w.